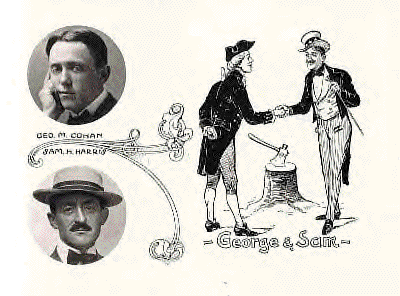 by forcing his son, George (George M. Cohan) to marry his daughter, Evelyn. from now on, the only father he has is the father of his country (hence, the show's title). 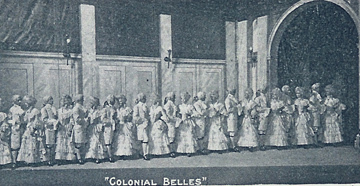 marries Mrs. Stebbins (Helen Cohan), who is Dolly's aunt. 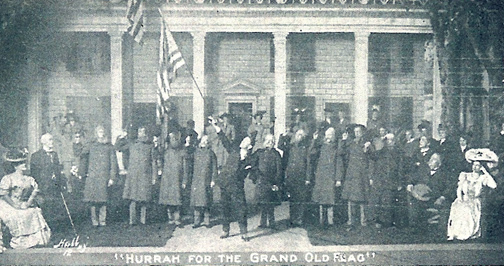 George M. performing the show stopper, "You're A Grand Old Flag." 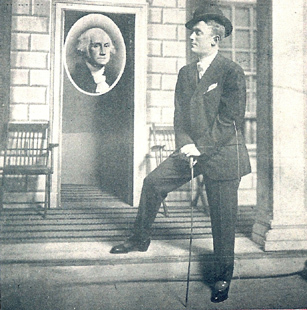 fully established his theory of the melodramatic musical comedy." 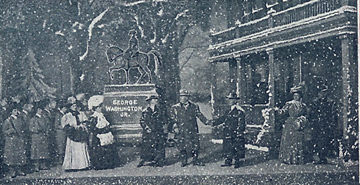 her singing "I Was Born In Virginia"
recently been produced at the Herald Square Theater. his career is that his real name is said on good authority to be Costigan. permits it to be lost sight of. as are the people who go to see them. 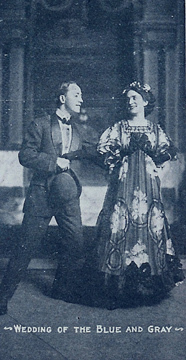 Helen, and George look on during the final scene. part of the theatere-going public." are purely accidental and due to circumstances and opportunity. know me well enough to know that I have never taken myself seriously. they bring greater royalties than any other class of music sold in this country. salary ever paid a song and dance comedian because I know I deserve it. But believe me, kind reader, when I say, I am not an egotist." accused me of having placed the whole town under salary." generations to come can still hear the original inspiration. strong and resonate, and it is one of the best recordings from that period. 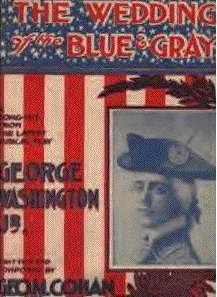 Washington Jr.," was given a nice revamping for Joel Grey in "George M!"